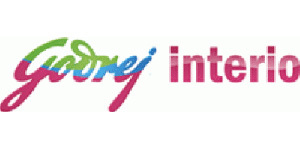 Godrej Interio is India’s largest furniture brand. From manufacturing the humble Storwel cupboard 80 years back to being a vibrant, innovative brand with a diverse portfolio – it’s been a brilliant, exciting journey. Godrej Interio offers to the customers home and office furniture, along with solutions for laboratories, hospitals and healthcare establishments, education and training institutes, shipyards and navy, auditoriums and stadiums. They are present across India through our 50 exclusive showrooms in 18 cities and through 800 dealer outlets. Nilkamal Ltd. has a host of superlatives to its credit. The world’s largest manufacturer of moulded furniture and India’s leading manufacturer of Material Handling Systems, Nilkamal Ltd., features among the Rs 1000 crore listed companies. Nilkamal is also a pioneer in the home retailing segment making a foray in this field with the @home chain of complete home solution stores dotting the Indian map. @home, positioned as a Home Maker store, is a perfect one-stop solution store for home planning, with finest quality furniture, soft furnishing, home accessories and a plethora of a whole lot of services to enhance your indoor and outdoor spaces. The designs @home are contemporary yet practical, mirroring Indian taste & finesse. Adventz is a dynamic conglomerate made of India’s premier companies in the Agriculture and Engineering Sectors. The ‘ADVENTZ’ Group is an Indian conglomerate with global ambitions that participates in and contributes to India’s economic growth and prosperity through transformational change. Style Spa is backed by one of South Asia’s largest factories specializing in producing panel based furniture. Every piece of Style Spa furniture is built to exacting technical and aesthetic specifications. Matching such standards demands a factory that is equally flawless. 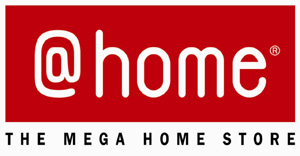 HomeTown is a unique, first of its kind home improvement retail format in India, from Pantaloon Retail (I) Pvt. Ltd., a part of the Future Group. HomeTown provides consumers the largest choice and variety for all that they may need for their homes, under one roof. The Store has live displays of various rooms like living room, dining room, bedroom. It also has a vivid display of products like sofa sets, dining tables, beds, kids furniture, kitchen fittings, bathroom fittings, furnishings, mattresses, paints, tiles, electrical fittings, decor lighting, plywood, consumer durables and electronics (through eZone). HomeTown also offers Design & Build service, a unique end-to-end solution that offers home designing and interior works. The services are flexible, transparent and easy on the pocket. HSIL is the flagship Company of the Somany Group and was established in 1962 as a joint venture with Twyfords, UK. HSIL is the largest Indian manufacturer of Sanitaryware products with a dominant market share of 40% in the industry. HSIL was the first Company in India to manufacture Vitreous China Sanitaryware. A chain of large retail format stores under the brand name “EVOK- The Home Fashion Mega Store” has been successfully launched at various parts of India. Evok brings the concept of trendsetting Home in India & promises to deliver world class home shopping experience with a superlative collection of room concepts. Evok Stores showcase over 16000+ world class contemporary product in Home Furniture, Soft Furnishings, Home Décor & Accessories, Wall Fashion, Modular Kitchens, Bath, Decorative Lightings & Floorings, & provide a good assortment of services which include Design to Build (Interior Design Services), Turnkey Installation & Post Care Services. Housefull International Ltd is a pioneer of affordable furniture with its small pricing structure and quality that provides never-to-forget shopping experience to the consumers. Housefull aspires to empower every house with quality furnishings that a buyer can take pride in. Since its inception in August 2006, Housefull International ltd has been on an expansion spree with 27 independent retail stores running successfully in Mumbai, Pune, Nasik, Ahmedabad, Surat, Baroda, Bengaluru, Hyderabad, and Chennai. 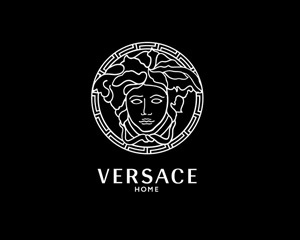 Renowned Italian luxury brand Versace has opened its first stand alone home furnishing store in the capital city of India, Delhi. With this it taps into the Indian market of premium lifestyle goods. The high end couture brand started its home furnishing brand in ’92 with a collection of bed linen, pillows and cushions followed by its porcelain line and furniture. Blues clothin company, that bought Versace into India, have also brought in home furnishing products from Thailand -based brand Jagtar, French brand Haute Monde. Home products are priced between Rs 10,000 to Rs 1,00,000. Elvy Lifestyle gives contemporary, exclusive and stylish options to set up a great home. From showpieces to glittering accessories to artful serving, one thing is certain – your home will draw many an envious eye. 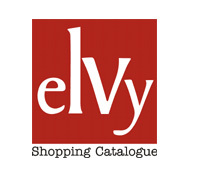 What’s more, Elvy has been known for its sensational festive collection. Each year as the country gets ready to put up the lights and write down gift ideas, Elvy gets ready by sourcing the most unique of items from the world over. So be it Diwali or Christmas or even Holi, one thing you can be sure of is that when it comes to shopping from Elvy, you’ll have gifts people will raise a toast to. Lovy Khosla, the founder of Elvy ensures that every experience they present is fresh, every collection memorable. From being the pioneers in plywood and veneer business to being the leading lifestyle brand in India, Durian has constantly thrive to remain in the same position and be the people’s favourite. In fact at Durian, excellence is an attitude. An attitude that has been taken to heart by Durian’s strong and committed customer-centric team of professionals across pan India. Durian is amongst the select few in India to be awarded with the internationally acclaimed Forest Stewardship Council (FSC) certification apart from the prestigious ISO 9001 and 14001 certifications. Indian Furniture Products Limited (IFPL) is a part of the KK Birla Group, one of the most respected business houses in India. Zuari, the flagship brand Indian Furniture Products Limited (IFPL), a part of the K K Birla Group and an ISO 9001:2000 certified company. Zuari’s wide and affordable range of offerings like bedroom furniture, TV trolleys, computer tables, utility furniture etc have not only added to the convenience, but have become style statements owing to their sleek designs and trendy looks. The success of Zuari lies in their understanding of the Indian Consumers, who have been long craving for stylish and easy to assemble furniture at affordable costs. A strong distribution network of 21 distributors, 14 Wholesalers and more than 450 dealers has helped Zuari to reach its customers through the length and breadth of the country with readily available goods and excellent after sales service.